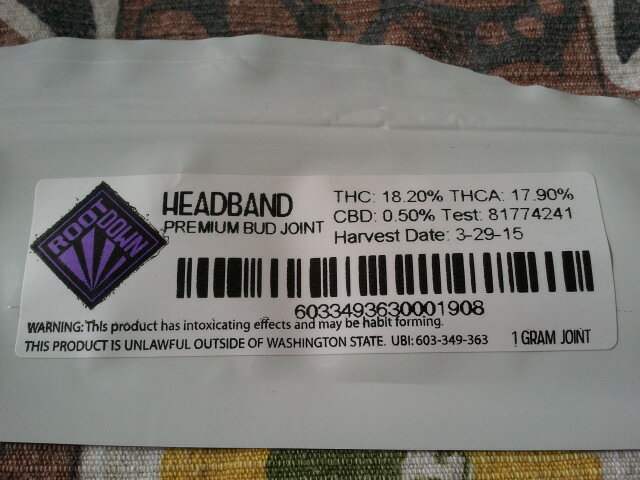 Headband is smooth, sweet, easy and absolutely powerful. Enjoyed on a Sunday morning, it gave us a deep and heavy hit that we felt from the crown of our head above us in the clouds to the bottom of your toes. An indica that puts you to sleep, it’s not great for daytime but awesome for pain relief and heavy relaxation. After a few initial silky hits, you quickly realize why it’s named the way it is. Enveloping your brain and body in a warm hug, a band of cloudy warmth flows all around you. Flavors of sweet berry fill your mouth with the thick smoke. It tastes warm, comfortable and jolly. This would be excellent in the winter or around the holidays with a blazing fire. We lit up a blazing fire with this joint and it provided an excellent couch-lock high. Very smooth. Relaxing, comfortable, enveloping warm high. Feels inviting. You feel content and satisfied. Good flavor, berry and sweet. Initial reaction to curl up with a blanket or lie in the sun. Man overboard! While enjoying this strong heavy body high, the weed tried to escape! The joint crackled and broke into a long canoe, weed pouring out from the bottom angle. Held like a paper bowl, we rescued the rest of the weed and enjoyed it in a small after-joint bowl. The headband provided some serious lethargy and wicked couch lock. It was good for a Sunday, but wouldn’t try this during the week if you live a busy lifestyle. Perfect for insomnia, depression and helps with appetite. Smoke: Thick and cloudy, perfect for smoke rings or ghost inhales.